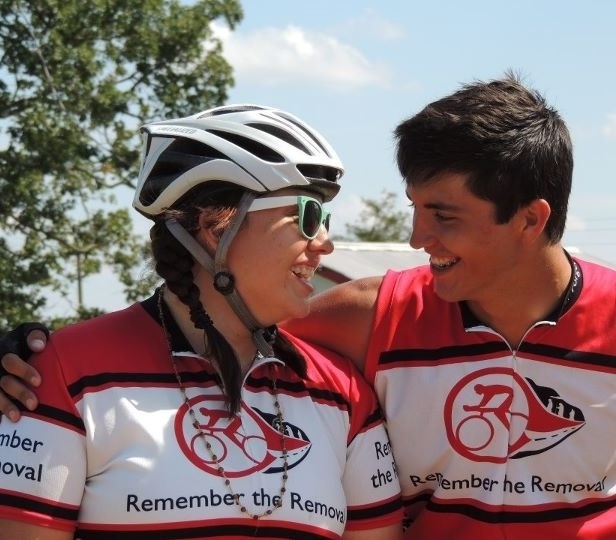 There are two days that stand out in a RTR riders mind: Cumberland and Lebanon. Today is June 16 and Lebanon. Today is rough because it’s a 55 mile day and at the end you have to mount a steep hill to the finish. I had many friends by my side encouraging me as I pedaled to the top. Your mind is your worse enemy. I knew the hill was coming and I made it out to be huge. When your at the bottom looking up the hill looks big and insurmountable. However the mountains not moving, its made it play. We have the choice to adapt to the mountain and conquer it. And thats what I did today. The mountains behind me.